This nesting doll set is actually one of the oldest Brest series sold, and one of the more popular. At one point, the product source dried up, but in 2000, they are available again through a new supplier. 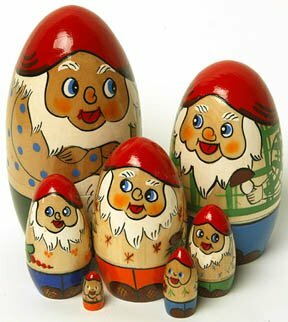 These are seven happy dwarves: something different than the usual young girl or woman portrayed in nesting doll sets.